I have made changes in my life any number of ways over the years. Sometimes I made a list and checked things off. Other times I made myself accountable by blogging about it. 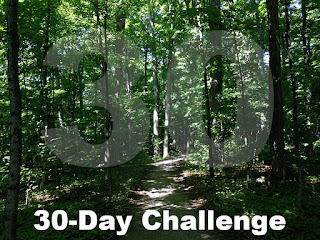 The 30-Day Challenge introduced by Tony Esteves at Mindcamp is so incredibly simple that it seems too good to be true. The idea is to commit to doing something every day for 30 days in order to create a habit. I had no premeditated plan to attend Tony's session - I always make last minute decisions at Mindcamp - but I knew the area I needed to address the moment I entered the room. Even though I am relatively in shape, having lost much of my mid-adult weight through good eating and the Ideal Protein program, I have been unsuccessful in making regular exercise part of my life. 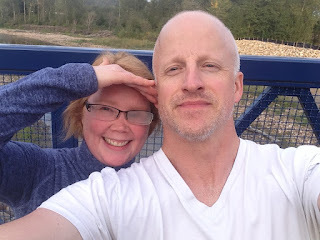 I was reminded of that fact while visiting a couple of cousins in Ontario, both of whom are older than me and get regular exercise by bicycling, playing baseball and doing DDP Yoga. I was reminded again by Tom McMillion of New Jersey who starts his day with a 30-minute brisk walk after having lost over 200 pounds in the last two years. I played with a number of different ideas for a walking challenge, from simply walking 30-minutes a day to adding distance with each day. In the end, just walking seemed too boring and going from one to 30 kilometres over the course of a month seemed too much of a stretch. I opted for the consistent and manageable plan of walking 30 minutes a day, but added the nuance that I would take a different route every day. So far, it's proven to be a brilliant plan. In the first six days I have explored the wonderful forest paths of YMCA Geneva Park and the long corridors of Pearson International Airport. We have enjoyed Lion's Park here in Fort McMurray, along with Syne Park and several of the residential streets in our own neighbourhood. I say "we" because Heather has been able to join me on all the local walks. We have discovered some lovely improvements on our little walks, well kept walking paths, new sidewalks and even a new rustic fence going up at the downtown cemetery. It's fun to think of what we might find over the course of the next 24 days, and possibly beyond. The point of the 30-Day Challenge is not to achieve a targeted amount of something; it is to create a habit. I already really look forward to these strolls, in a similar way that I look forward to writing at the start of my day and painting in the evening and on weekends. 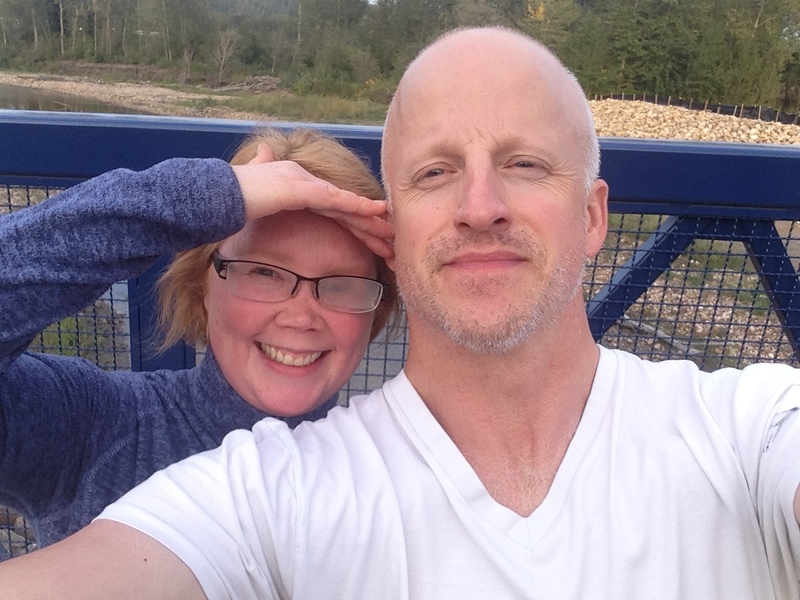 For Heather and I, it is a chance to walk and talk: previous connection time. We've tried this before, regular walking, but always seemed to get knocked off course by busy schedules and Old Man Winter. 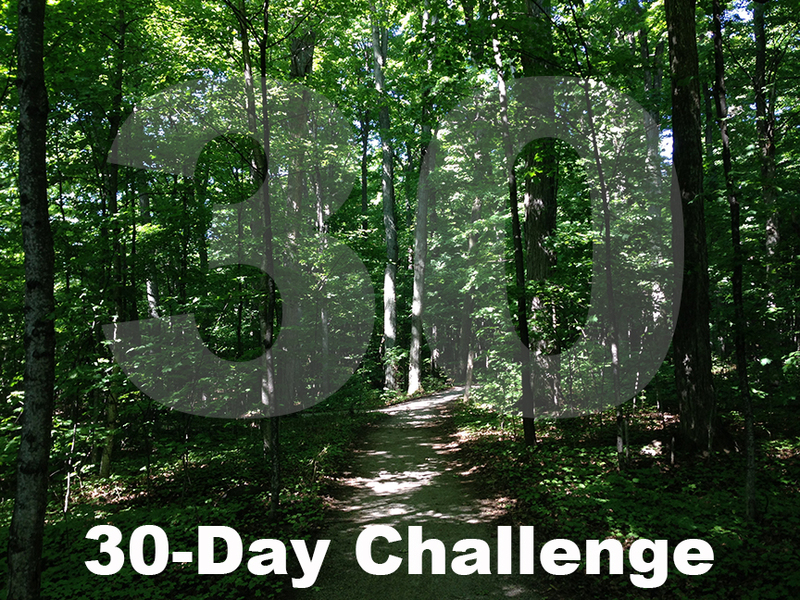 I hope that the 30-Day Challenge will give us the momentum to keep moving together for years to come.